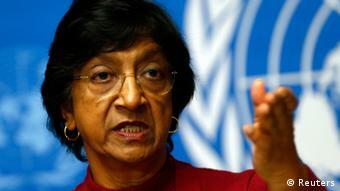 Peace talks between South Sudan's warring parties have resumed in Addis Ababa, while UN human rights chief Navi Pillay has arrived in Juba amid growing concern over the atrocities being committed in the war-torn country. Peace talks aimed at ending four months of fighting in South Sudan resumed in the Ethiopian capital Addis Ababa on Monday (28.04.2014), the Intergovernmental Authority on Development (IGAD), the regional bloc mediating in the conflict, said in a statement. Last week's decision by the South Sudanese government to release four high-ranking political prisoners accused of plotting a coup against President Kiir's government has raised hopes of an agreement. "I think it's quite significant that the justice minister said it's for the sake of peace and reconciliation," Ahmed Soliman, a research associate at Chatham House in London told DW. 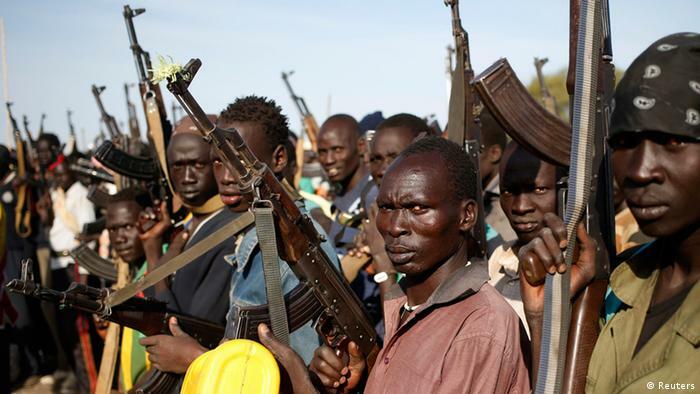 "There's increasing pressure on the government and also on the SPLM in opposition, who are continuing to fight on the battlefield in Upper Nile state," he added. "This could have some repercussions in terms of defusing some of the tension and moving the political side of the negotiations in Addis Ababa forward." The talks began shortly after the conflict had broken out in mid-December in the course of a power struggle between Kiir and ex-vice president Riek Machar. A ceasefire signed in late January has not stopped the fighting, which has been intensifying in recent weeks. Both sides have been implicated in massacres, rapes, attacks on UN bases sheltering civilians from the violence, and the recruitment of child soldiers. Almost 200 people were killed in the northern town of Bentiu earlier this month. Amid rising global concern over these atrocities, UN High Commissioner for Human Rights Navi Pillay and the UN's special envoy for the prevention of genocide, Adama Dieng, arrived in the capital Juba on Monday for meetings with President Salva Kiir and other senior officials. They are also due to travel to massacre sites "if security conditions allow", Joe Contreras, a spokesman for the UN Mission in South Sudan, said. 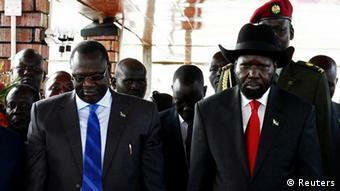 Kenyan President Uhuru Kenyatta has warned of a possible genocide in South Sudan. In an interview with DW's AfricaLink program, Rupert Colville, the spokesperson for Navi Pillay, said that although he thought it was premature to call it genocide, the continued ethnic killings, including the particularly horrific massacre in Bentiu, and the recent "hate radio" messages were definitely strong warning signs. "It's very dangerous, that's for sure," Colville said. "And I think the mere fact that the special advisor to the secretary-general for the prevention of genocide, Adama Dieng, is here with us, an indicator of that."